Hookup Sites require full hookup site fee regardless of use of electric, water, or none. Park visitors using the facilities for the day must pay the $5 day rig fee per rig. 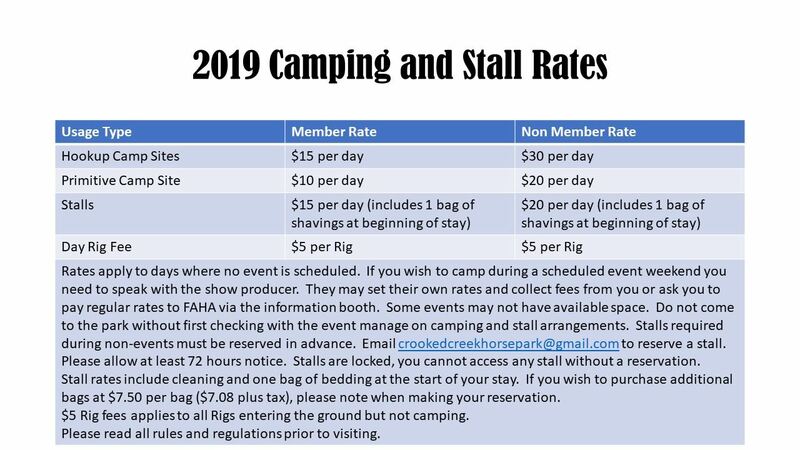 This is for day use only and any rig in hookup sites or left over night will pay associated camping fees. Rig fees cannot be used to reserve spots. Please clean up your camp site prior to leaving. See full regulations on pdf file below. **Additional bedding available for purchase for $7.50 per bag. Please request in advance during stall reservation. While supplies last. 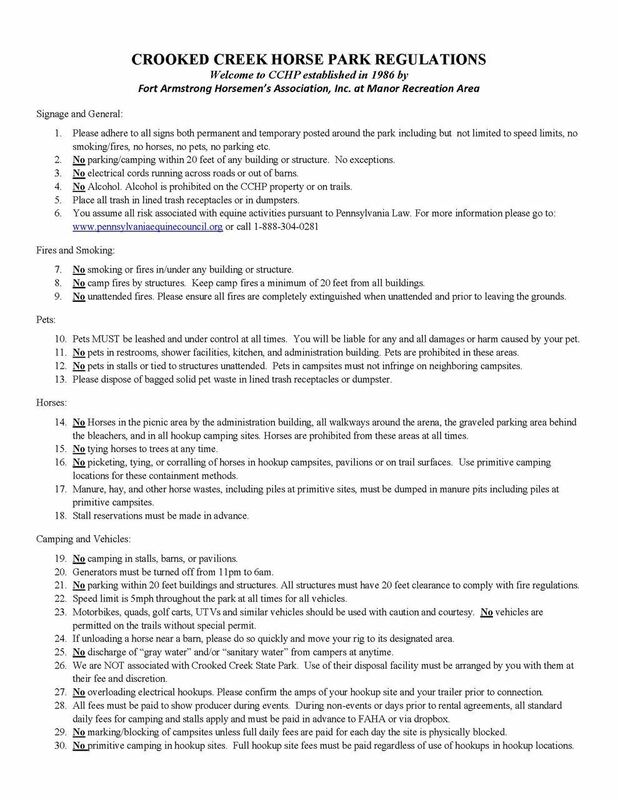 All campers and attendees must abide by park rules. Schedule too busy, see our McAninch Trail Head for alternate camping options.